You might recall my garden adventures from a post a couple of weeks ago (and due to my business lately and lack of posting, you won't have to scroll far to find it) that I was rather uncharacteristically skipping through an Alphabet City garden in heels. Truth be told, I had sneaks on hand for the commute, conveniently stowed in my new summer bag, the FEED x Rachel Roy India tote. 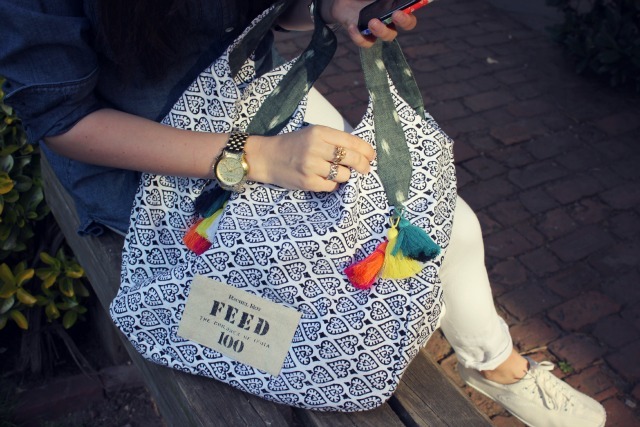 The fab people at FEEDprojects were kind enough to help me kick my summer off right with a bag that will travel from Manhattan to The Hamptons as easily as it goes from 13th and A to 6th and C.
That bag is great! 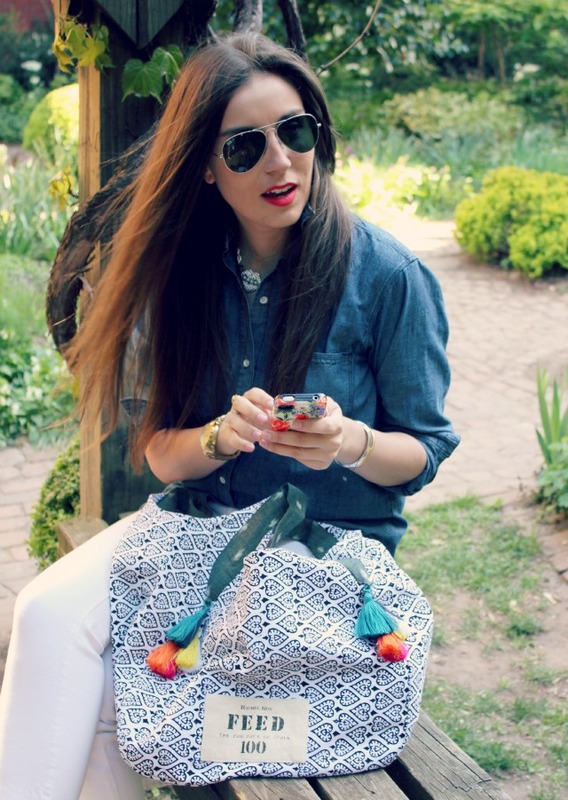 Do you still blog for Eat, Sleep, Denim? First of all i love your red lipstick which brand did you use. This is very good step to open a shop for cause. We all know a tote bag is a real life saver for girls. It looks stylish and can put everything a girl wants in it. In your case it is a chic tote bag. Even better! !